Skyrim Special Edition Nexus, Levionte. 29 Oct 2017. 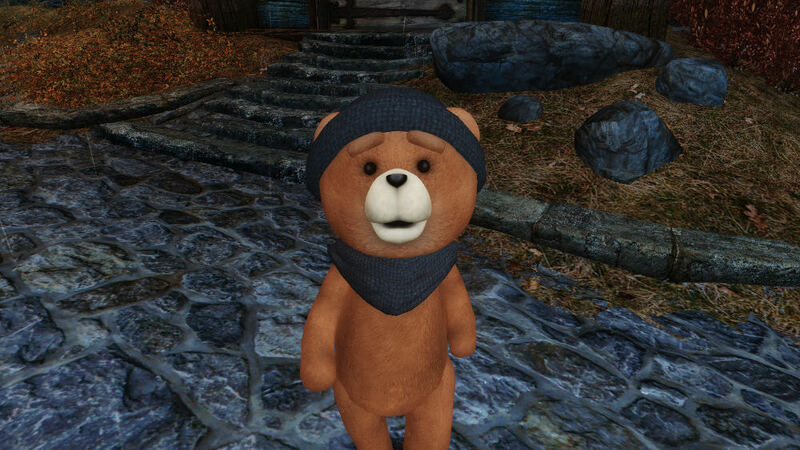 Rupert the Teddy Bear Companion SE. 29 Oct 2017 <https://www.nexusmods.com/skyrimspecialedition/mods/13185>.